The Kugels play klezmer – Welcome to The Kugels! 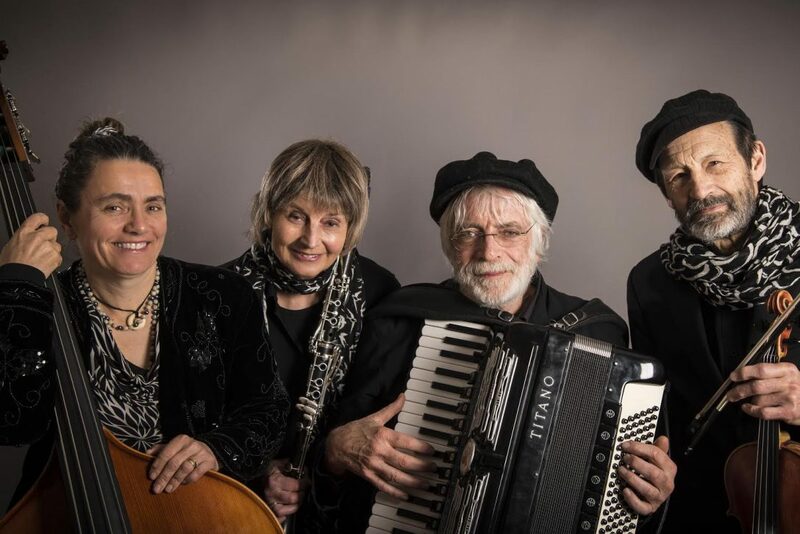 The Kugels are a Wellington (New Zealand) based klezmer band that specializes in a mixture of ancient traditional tunes and freshly composed ones by the band’s accordionist Ross Harris. We play semi regular gigs on Friday nights at Cin Cin restaurant in Cuba St, Wellington. Our next gig there is on November 24th . You will need to book. Don’t forget to ask to sit near the band.